Most people become completely flabbergasted to learn that they have unclaimed money coming to them. The reason is obvious. Money is so coveted and in such limited supply that you know when you have it and you definitely become aware of it when you don’t even have two bills to rub together. So when a person is faced with the prospect of finding hundreds or even thousands of dollars in unclaimed money, the question becomes clear. How does money become unclaimed to begin with? The following should help to clear the matter up permanently. From your very first bank account to the first apartment you ever rented, the sources of unclaimed money are sure to surprise you. If you plan to attend the Tulsa State Fair, you may want to wear pants with some extra deep pockets or bring an extra large purse. That’s because you may end up leaving with far more money than you walked through the gate with. I know it sounds to good to be true to actually come home from the fair with any money period, let alone way more then you brought in! Well this year, the State of Oklahoma is trying to reconnect thousands of Oklahoma residents with hundreds of thousands of dollars that is being held in unclaimed money accounts. If you’re going to the fair, you’ll have a chance to see if you are the rightful owner of some of that unclaimed money. 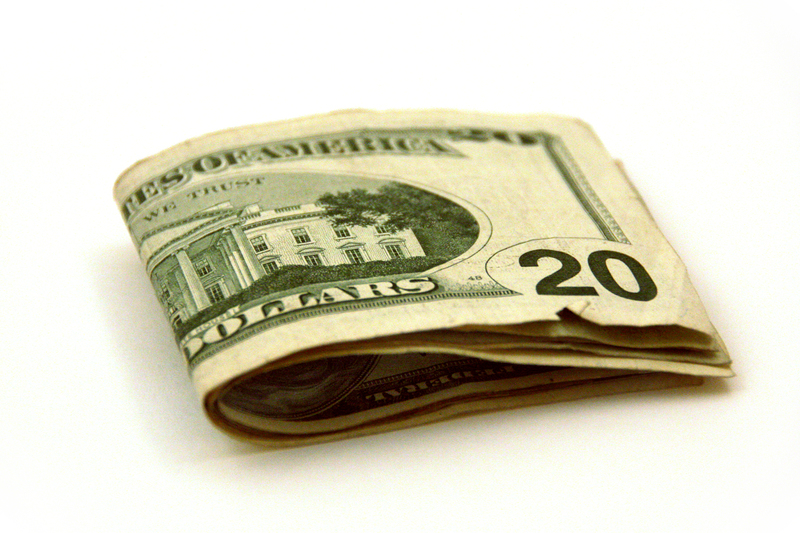 Have you ever reached into your jeans pocket and found a $20 bill that you forgot you had in there? It seems like it would be hard to do, forgetting that you have money, but it happens every day. And in fact, when you’re talking about all of the money that’s floating around between banks, on the Internet and being held by the IRS, there is a lot of free money out there that just might have your name on it. The question of course remains as to just how you go about finding free money and claim it so you can put it back in your bank account where it belongs. The easy answer is that you sign up with www.CashUnclaimed.com. Click Here to Find Your Unclaimed Money! As seen on Fox News’ ‘Tip of the Day’! Fox News urges people to search for their unclaimed money, which is estimated to be in the billions. Enter your first and last name in the form above. We will search our entire lost money database and return the amount of unclaimed property or other unclaimed money we locate which may prove to make you rich! Did You Find Any Unclaimed Money Over The Weekend? Thousands did, with the help of CashUnclaimed.com, the largest unclaimed money database in the world. THis weekend, many logged in and were able to search for their unclaimed money for FREE, with CashUnclaimed.com’s help. Don’t wait another day longer; find YOUR unclaimed money NOW, for FREE! Do you need money? The easiest way to get money is by finding unclaimed money! Unclaimed money is money that once was owed by someone, but they forgot to claim it back for some reason. Most common forms of unclaimed money: Unclaimed utility deposits, unclaimed safety contents of boxes, unclaimed life insurance policies, unclaimed checking or savings accounts, and much more! If you think you may have one of the above mentioned, the best way to search for unclaimed money is with CashUnclaimed.com, the largest unclaimed money database in the world. Log on to http://www.cashunclaimed.com and search for your unclaimed money for FREE! The national amount unclaimed money the government is holding continues to increase in size every day. Most Americans actually have some type of unclaimed money waiting for them…the problem is, very few people check to see if there is any in their name! Click HERE to search for your unclaimed money with the largest, best unclaimed money database, for FREE. It doesn’t hurt to look! I can’t believe it!! If you can’t either, go search for your unclaimed money! Its fast and its FREE!! Click HERE to search NOW!! If you think you don’t have unclaimed money, you may want to think again. Its said that 7 out of 10 Americans are owed some amount of unclaimed money!! Just think about it, there is currently over $35 million in unclaimed money. The chances of you being owed unclaimed money are high, so it’s a great idea to check and see if you have any, especially if it’s FREE!! Click HERE and see how much unclaimed money you are owed, for FREE! I just came across this awesome website that is really resourceful for finding unclaimed money!! THey can also do FREE unclaimed money searches too!! You are currently browsing the archives for the unclaimed money category. What is the BBB and How is Cashunclaimed.com BBB Rating? You can syndicate this content using our Entries (RSS) Feed.